What are the benefits of a debt management program (DMP)? In a Debt Management Program, all debts must be paid off within 60 months or less for it to be the most effective and work properly. The average length of a DMP is 48 months. However, this all depends on the amount of debt that needs to be paid off. Some people can pay everything off pretty early, but others may take the entire 60 months to pay off their debt. Credit counseling sessions are performed at no charge. Counseling is always free from a reputable non-profit agency. For a Debt Management Program, there is a one-time enrollment or set-up fee of $50, and also a monthly fee to service your DMP. The monthly fees can range from $10 to $50 depending on the state you live in and how many creditors are on the program. Each state has their own rules and guidelines that an agency must follow for how much they can charge a client. Most agencies will waive fees if clients meet certain income criteria. How many creditors can be on the debt management program (DMP)? There is no limit to the number of creditors that may be placed on a DMP. Creditors are usually willing to give concessions when they know that you’re sincerely trying to repay your debts. Typically, the most successful clients will include ALL of their debts on the DMP. It shows a true commitment to getting out of debt. This will also remove the temptation to use credit cards instead of cash. Can you loan me money? The short answer is NO. Most non-profit credit counseling agencies are not a finance company or loan service. They provide free credit counseling and if appropriate will recommend a debt management program or other debt relief options. They do not loan anyone money. Is there a minimum amount of debt required to go on the program? No, there is no minimum amount of debt that is needed. The credit counseling agencies are there to help you no matter how much or how little debt you have. Watch out for agencies that do require a minimum amount of debt before they will work with you because that could be a red flag. Will I still be able to use my credit cards? Most creditors will require that you close your account so you can’t use that credit card anymore. You cannot make a commitment to getting out of debt and incur new debt at the same time. It’s counterproductive and just not a good idea. You need to find other ways to pay for things and not be so reliant on credit. How does a DMP compare to bankruptcy? There are many differences between the two, but the most meaningful difference is the way each will affect your credit report and credit score. A bankruptcy is a BIG negative on your credit report and will have a large negative impact on your credit score because your lenders are either being paid nothing or less than they agreed. However, with a DMP the entire balance will be paid off with voluntary concessions from the lenders. A Chapter 7 filing remains on your report for 10 years from the date of filing, and Chapter 13 remains on your report for 7 years. A DMP notation (that may or may not happen based on specific creditor policies) is removed as soon as you exit the plan which is usually within 3-5 years. This notation is not seen as a negative mark, it’s simply a note that you are on a DMP. How is my monthly payment to the agency figured out? This is based on your balances for each account on the DMP. Every creditor is different in terms of what they will accept as payment each month. Credit counseling agencies DO NOT negotiate with the creditors. The creditors all have their own rules and guidelines that a counseling agency must follow. They dictate what they will accept. However, the payment amount must be enough to pay off the entire balance in 60 months or less. Will credit card accounts be closed? That is up to the creditor’s discretion. A counseling agency is unable to get involved in that and they have no say. One creditor might require you to close your account and another creditor might not. However, the majority of times most creditors will close accounts when you sign up for a DMP. You could contact all of your creditors first, before going on the program, to request accounts to be closed only “at consumer’s request”. They may or may not allow this. 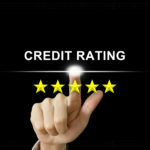 How will a debt management program affect my credit score? Credit counseling agencies do not report to any credit reporting bureaus about your participation in a debt management program. Most creditors will make a notation on your report that you are working through a 3rd party debt management company. Your credit score may initially be lowered due to the creditors closing your revolving credit accounts while on a program. How much your score is lowered depends on the current status of your accounts. Your counselor will address this with you in more detail as it pertains to your specific situation. How can I be sure that my creditors are receiving payments every month? You should receive a monthly statement from your credit counseling agency that shows which creditors are on the program, how much they got paid, and when they got paid. Most agencies also offer an online account that you can sign into any time and review everything that’s going on with your DMP. What type of debts can go on a DMP? Only certain kinds of debt can be included in your program. Unsecured credit cards, financial companies, collection and medical accounts are accepted on a DMP. Credit cards and other unsecured debts traditionally make up a DMP. Secured debts such as a car loan or mortgage cannot be included, nor can student loans or IRS tax debt. Can I pay my creditors directly? All payments to creditors participating in the plan must be made through the credit counseling agency. The creditors are expecting to receive your payment through your agency. They might be confused about whether or not you’re still on the program if you start sending payments directly to them. It’s best to always send any and all payments to the counseling agency and let them disburse the money to your creditors. Can I send in more money than my agreed upon payment? Yes, the more you put towards your debt, the faster you become debt free, which may save you hundreds or even thousands of dollars in interest charges. If you want your agency to send extra money to a specific creditor or creditors, please include a note with your extra payment. Otherwise, they will most likely distribute the extra money in a fair and equitable manner to all of the creditors on the plan. Will my monthly DMP payment go down as creditors are paid off? No, it will never go down for the entire length of the program. Once a creditor is paid off that money is then redistributed among your remaining creditors to help pay them off faster. This is the key to completing your DMP within 3 to 5 years. This will also save you money on interest charges, and get you out of debt as quickly as possible. What type of payments does an agency accept? Each agency is different so make sure you ask them this specific question. Some forms of acceptable payments include: ACH or EFT (Automated Clearing House or Electronic Funds Transfer), money orders, Western Union, certified check, etc. Each credit counseling agency has different guidelines on the forms of payment they will accept so it’s a good idea to ask. A proposal is a plan or suggestion between you and your creditors to reduce your payments, lower your interest rates, and possibly waive fees. This proposal will recommend new payment terms to your creditors so that it’s something you can afford to pay every month. In other words, a proposal is a document that is sent to your creditors for their approval, in order for you to be eligible for the DMP and to receive any concessions. When is my payment disbursed to my creditors? This will differ for everyone on a DMP and it might differ by the agency as well. Upon receipt of your payment, most agencies have policies to hold money orders, Western Union, cashier checks, and certified checks for a certain number of days to ensure the funds clear the bank. Automatic withdrawals (ACH) are also held to ensure everything goes through. This is why it is very important to have your payment into the agency by your scheduled due date. Once the funds are cleared, your payment will be disbursed to your creditors. Will my creditors still call me? Creditors have the right to call you as long as you have a balance on an account with them. However, once a creditor accepts a repayment proposal the calls should stop. They will be dealing with your agency so there’s usually not a reason for them to call you anymore, providing you maintain regular, on-time payments. Will my creditors continue to send me statements? Most creditors will continue sending you monthly statements. Your agency does NOT receive statements from your creditors, so it’s your responsibility to monitor your statements every month. The agency will usually ask that you send in copies of those statements periodically, so they can review them and update your balances to reflect the current amount due.